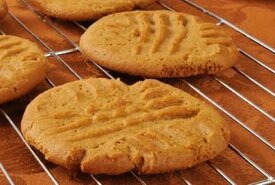 This homemade butter pecan cookie recipe brings back fond memories. 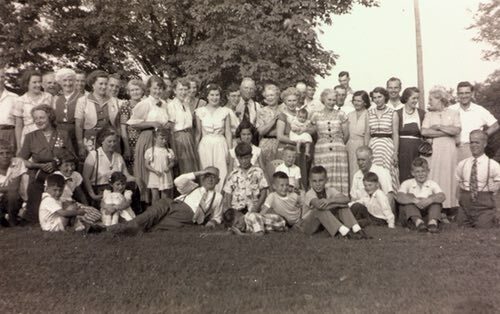 When I was a young boy, the McIlmoyle Family held large family reunions attended by all the aunts, uncles, and cousins. You could always count on large platters of wonderful picnic-style food and plenty of delicious desserts — all homemade. We stuffed ourselves with frosted layer cakes, pies, chewy chocolate brownies, jellied fruit salads, cinnamon rolls, and trays of cookies. Yeah, there was a large main course, but we kids had only eyes for the desserts. 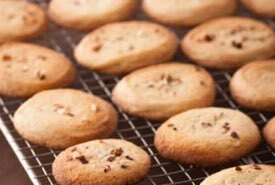 The old fashioned cookie recipe below will let you share the experience. The old time family reunions called for lots of good, homemade food, and every family contributed their share. Mom usually took a casserole, a plateful of fancy-cut sandwiches, and at least a couple of dessert items, including a tin of her delicious butter pecan cookies. Everybody loved them! 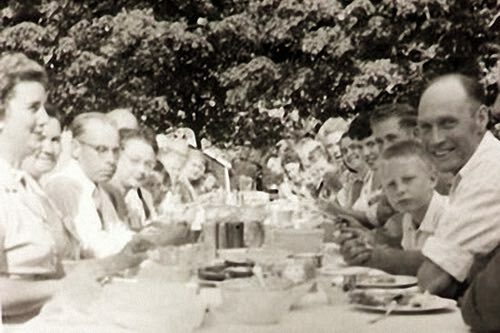 While the adults sat beneath the shady maple trees and caught up on the latest family news, we kids played games of tag or tossed a ball around, and longed for the eventual picnic supper served on a long row of tables. That's me at age 10, second on the right, next to my Dad in the photo below. Best cookies I ever had. Shared to all of my classes. Thanks! Loved them! Hope you try them. —Anon. Give Mom's mouth-watering cookies a try. They're perfect for taking on family picnics and for serving on special occasions, or anytime. I know you'll love eating them too! Cream the butter, add vanilla, and sugar, and gradually beat till light. Sift flour with salt, then add to sugar mixture. Finally, add pecans and mix well. Drop by teaspoonful onto ungreased cookie pans. Flatten cookies with a fork and bake about 20 minutes in a 325°F oven. 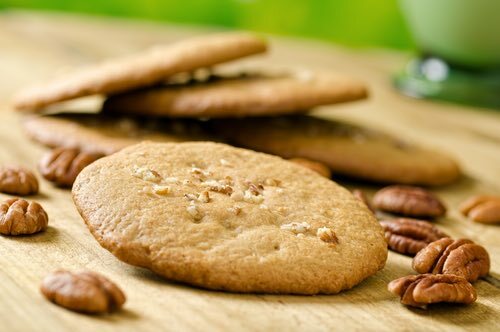 Enjoy the butter pecan cookies! Thank you for sharing your family's cookie recipe. The butter pecan cookies are delicious! —Anon. Click Like and help to preserve Grandma's old fashioned recipes. Puzzled about old time oven temperatures and measurement units?